In many ways director Paul Schrader’s new film First Reformed could work as a double feature with last year’s Novitiate. It’s a dark piece on the complicated modern life of a minister dealing with his own internal demons. 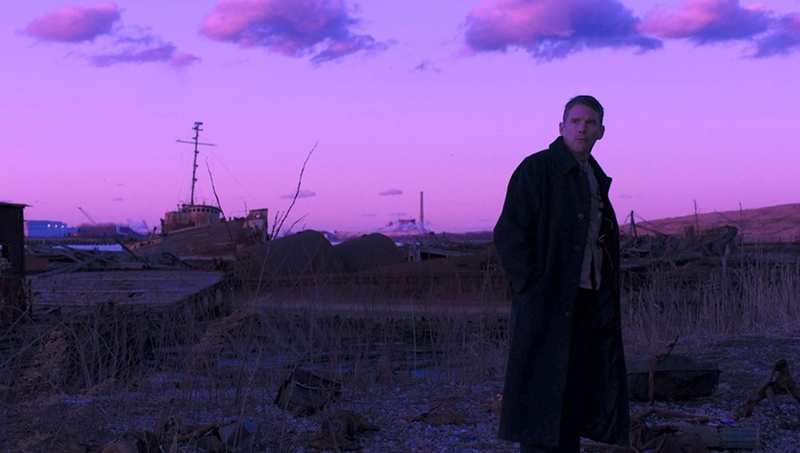 First Reformed is a twisted tale, not unlike the morally conflicted films in Schrader’s repertoire such as Taxi Driver or Affliction. Oscar nominee Ethan Hawke (Boyhood) is the secret weapon here, tackling yet another challenging role in a long line of performances that continue to prove he is one of the most ambitious and talented actors of his generation. Intentional viewers of First Reformed will revel in the many psychological and moral debates the script tackles. Unintentional audiences are likely to be bored by the pacing, scale and often false illusions to more dramatic elements. Burned and shredded is what Rev Toller (Hawke) says he will do with the brutally honest journals he is keeping. A self help experiment, where he confesses his inability to pray. Toller is a 46-year-old divorcee who spent most of his life overseas preaching the word to the military. Now placed in charge of what some call the “gift shop church” that’s more of a historical relic than a place of worship. One of the six regular attendees, Mary (Seyfried) askes Toller for help and guidance with her disturbed boyfriend Michael (Philip Ettinger). As he juggles duties at church, demons at home, Toller is also overwhelmed by the pressure of getting the property ready for the 250th anniversary that includes local dignitaries. Hawke is the secret weapon, tackling another challenging role in a long line of performances, continuing to prove one of the most ambitious and talented actors of his generation. Will God forgive us, becomes a question Toller doesn’t know how to answer. Beyond questions of faith as it applies to religion, Schrader also explores environmental concerns as it applies to matters of faith. Schrader’s script weaves so many interesting segments around this fascinating character study. The brooding nature of Toller, his continual downward spiral and all the demanding elements he faces work together create a looming sense of dread. First Reformed isn’t predictable, not with characters actions or plot developments. Hawke’s performance also unfolds ever so slowly, keeping us on the edge of suspense at what he will do next. It’s the third act where the film stumbles. As if Terrence Malick stops by to film a few scenes that don’t harmonize with the more curated beginning acts. The film picks up pace and disturbances as it hurls toward an unsatisfactory ending that will leave audiences gasping for a variety of reasons. First Reformed has a lot to unpack, the type of film that could be debated for hours. Notably, there isn’t a bottle of Drano, piece of barbed wire, or singing chorus that doesn’t play an integral purpose to the overall plot. Supporting performances from both Seyfried and Cedric the Entertainer are also effective, offering a lot to unpack with limited screen time. Despite narrative elements in the end, Hawke’s performance is the great takeaway here. Ethan Hawke’s performance constantly makes up for the films minor narrative and creative flaws.